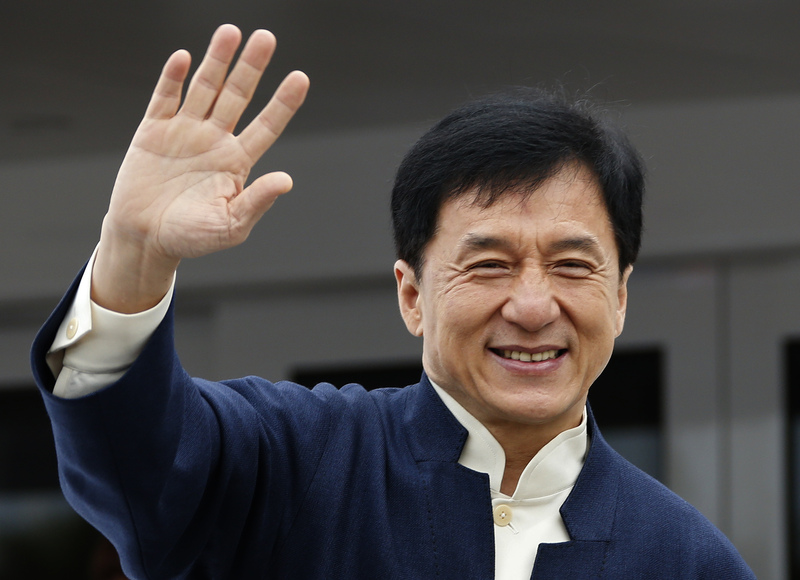 World famous actor Jackie Chan has arrived in Astana, Kazinform correspondent reports. Board Chairman of Kazakhstan Television and Radio Corporation Yerlan Karin posted a photo with the world star on Facebook. "Jackie in Astana", he briefly wrote under the photo showing him next to Chan and the capital mayor Aset Issekeshev. "The year of China's tourism in Kazakhstan has begun. Jackie Chan is in Astana. Respect to Yerlan Karin", Issekeshev comments on the event. Recall Kazmediacenter Concert Hall will host the Chinese Film Festival opening on June 7. The event organizers are Kazakhstan Television and Radio Corporation, Chinese State Administration of Press, Publication, Radio, Film and Television, China film group and Kaztelefilm. Such Chinese top television companies as CCTV and Hunan TV will also come for this event. In total, the festival will show 6 films at the Chaplin cinema on June 7-18. It is "Kung Fu Yoga" that will be shown at the very opening. The main guest of the festival will be a world-famous actor, stuntman, film director, producer, scriptwriter, stunt and fight director, philanthropist and martial artist Jackie Chan, who will walk along the red carpet and give his speech to his fans. "Tomorrow we will host the main event - the opening of the Chinese Film Festival in Kazakhstan! It will be aired on Kazakhstan TV channel at 15.40", Y. Karin posted on Instagram with photos of him meeting with Jackie Chan at the Astana airport.